Do you need a quick way to monitor when your articles are ranking in the Google search engine results pages? 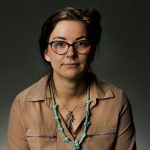 And – possibly more importantly – when the article drops out of the Google Top Stories Box (also known as a News Box), so you can take action on updating and optimizing it? 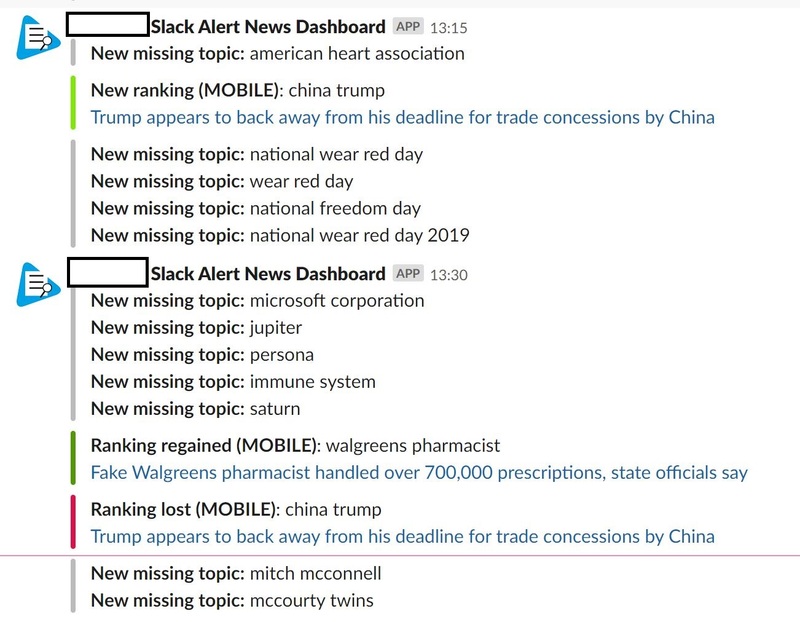 If you’re an avid Slack user, the News Dashboard has the answer. 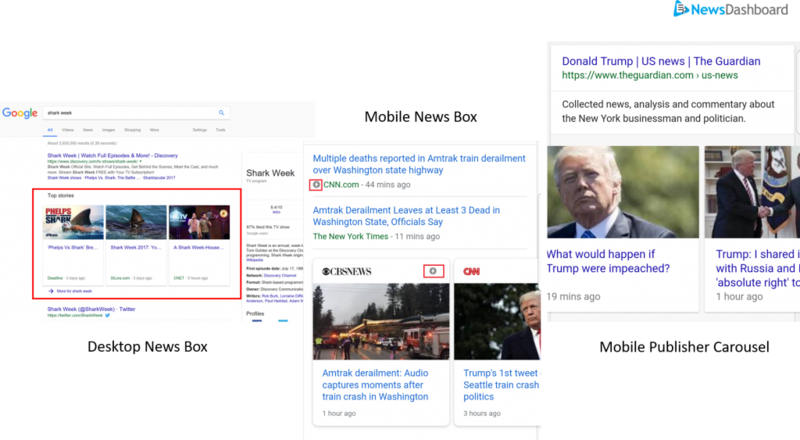 Examples of the News Box on the Desktop SERP (left to right); News Box on the Mobile SERPs; and the Publisher Carousel – similar to the News Box, but containing articles from a single publisher – which appears only on the Mobile SERPs. If you’d like to see the alerts in action and try a demo of the News Dashboard in your newsroom, sign up for a demo today.